AUSTIN DE CHÊNE pres. 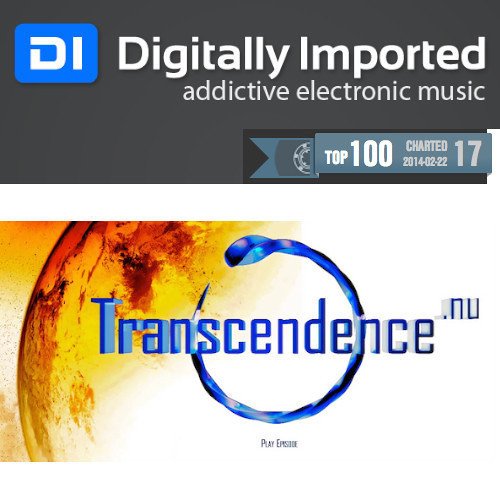 Transcendence Episode Special (Feb 2014) *DI.FM Special Guest Mix (Air Date 3.24.14) www.di.fm/trance *BeatPort.com Top 100 Mix (Charted #17) [02.21.14] http://mixes.beatport.com/mix/140977 www.AustinDeChene.com www.facebook.com/AustinDeChene www.residentadvisor.net/dj/AustinDeChene Phi Phi & Airwave - Back On Track (Audio Noir Zen Mix) [Bonzai Progressive] Mark Sherry & 2nd Phase - Venomous (Original Mix) [Lange Recordings] Second Way - Soul (Blugazer Remix) [Trance All-Stars Records] Styller - What We Left Behind (Original Mix) [Saturate Audio] Existone - Between Heaven and Earth (Original Mix) [In Trance We Trust] Rory Gallagher & Luigi Palagano - Es Vedra (Moonsouls Remix) [Alter Ego Records] Driftmoon - Mesmerized (Original Mix) [Blue Soho Recordings] Manida - Rising Sun (Original Mix) [Unearthed Records] Dreamy - Scar (Artra & Holland Remix) [Redux Recordings] ReOrder & Ian Standerwick presents SkyPatrol - Folding Your Universe (Original Mix) [Future Sound of Egypt] Tomas Heredia & James Dymond - Sao Paulo (Original Mix) [Soundpiercing] Tangle - The Core (Original Mix) [Fraction Records] Stuart Millar - Remember Who You Are (Original Mix) [Blue Soho Recordings] Bryan Kearney vs. Arctic Moon - Dreamers & Dreams (Original Mix) [Future Sound of Egypt] Abstract Vision & Philippe El Sisi - Aerobatics (Original Mix) [Tytanium Recordings (CH)] Thomas Datt - It’s in the Past (Liam Wilson Remix) [Discover Records (UK)] Solarstone - Solarcoaster (Protoculture Remix) [Captivating Sounds] John ’00’ Fleming & Christopher Lawrence - Dark On Fire (Jeremy Rowlett Remix) [JOOF Recordings] Lee Haslam - Crack On (Original Mix) [In Trance We Trust] Stevy Forello - Shaded Starlight (Temple One Remix) [Amon Vision] Ciro Visone - Flying On The Moon (Ian Standerwick Remix) [Digitized Recordings] © All tracks are the property of their respective owners. Woohoo ! Good start ! !